The Common boneset is a plant of wet places and shores which has two different aspects during its annual growth. Initially, the plant displays entirely purple red leaves with a young woolly inflorescence. Then as it grows, the leaves turn green, leaving a border of purplish red to eventually become completely green when the flower buds appears. 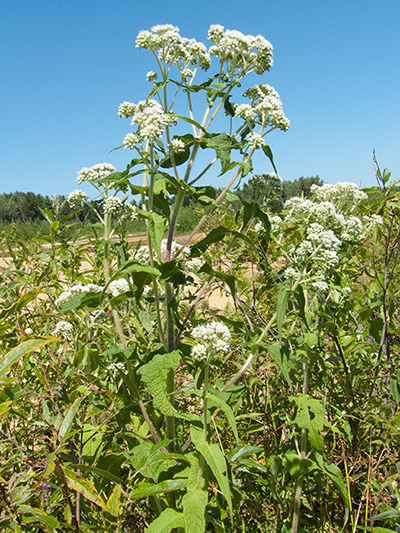 The Common boneset attracts butterflies by providing them with shelter and food.